James Marsden reflects on working with Sir Anthony Hopkins on ‘Westworld,’ and reveals the endearing thing the celebrated actor did between takes. Larry King: Anthony Hopkins told me he was in this. James Marsden: Oh yeah? Yeah he would. Larry King: Did you ever work with him? James Marsden: Yeah. Wonderful, wonderful man. Larry King: He’s the best. 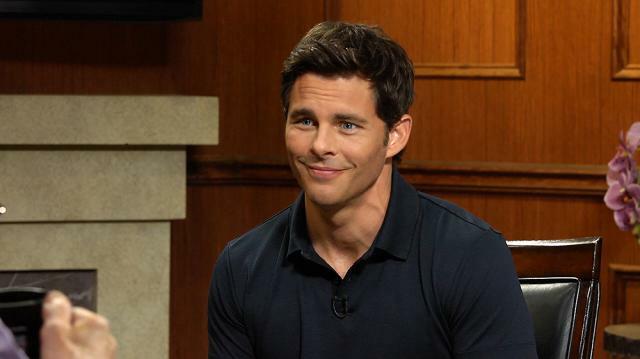 James Marsden: Yeah. Delightful. I sat, my first scene with him, was a three-page, uh, a couple minute scene, and first time I’d met him and worked with him. And in-between takes he would go off and do uh, do Marlon Brando impersonations. Larry King: Oh he’s the best. James Marsden: Yeah. He’s great. He enjoys being in front of the camera and he enjoys, enjoys what he does this for.